If I let her sleep in her shoes she would. 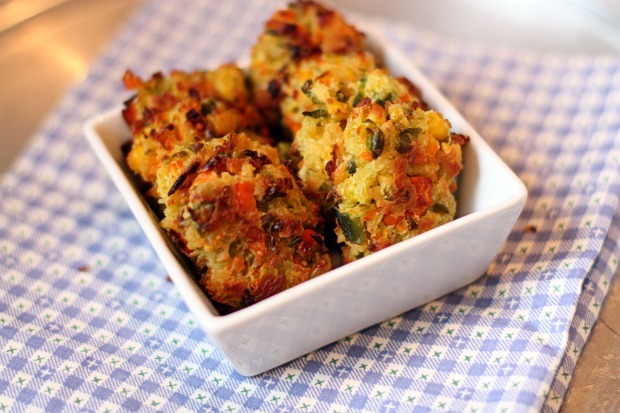 These veggie nuggets climbed straight to the top of her favorites list! Whenever I make something for the first time she’s always a little hesitant. She’ll take a little nibble to test the waters, maybe take a gulp of milk, and if she likes it, she’ll nibble some more. Maybe it was the fact that these were in nugget form that appealed to her. Maybe it was because these are made from the classic all-star kid veggie mix of carrots, peas, corn, green beans, & lima beans. Cook veggies according to package directions. Let cool. 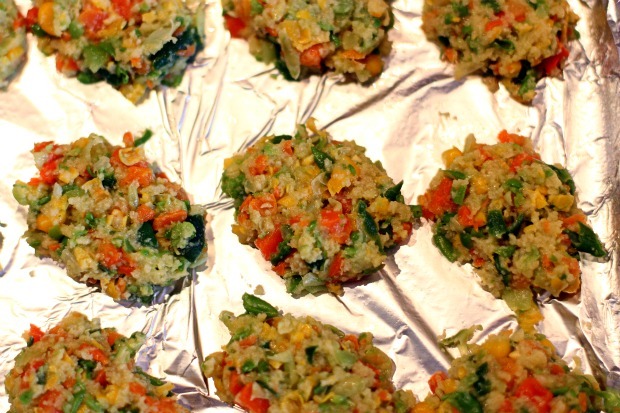 Place veggies in a food processor and pulse a few times (don’t over process). 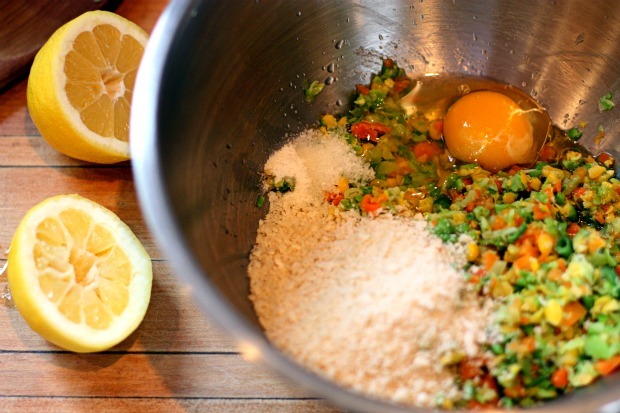 In a large bowl, combine veggies, bread crumbs, egg, salt, garlic powder, lemon juice, & olive oil. Mix well using the back of your spoon to continue to mash the veggies. Spray a baking sheet with nonstick cooking spray. Using a small scooper (I used a melon ball scooper), scoop the mixture onto the baking sheet. Using your hand, shape into a nugget form. Bake at 350 degree for 40 minutes. Flip nuggets to other side after 20 minutes. For kids? Heck, I’m making these for me! Oh my goodness–these look so amazing! I agree 🙂 Mr. Weekly Bite couldn’t stop eating these!! these should be titled “veggie nuggets for jessica” because i would totally eat veggies this way! Isn’t it great when your kids eat vegetables! It makes me feel like I’m doing something right. 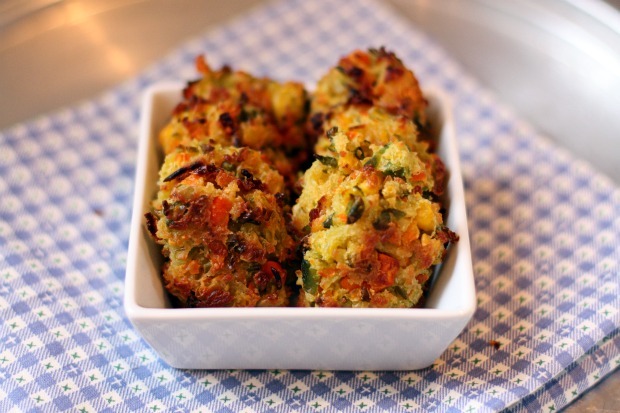 Besides, who wouldn’t love a veggie nugget? These look super easy and sound delish. I bet they would make great snacks for me and the hubs now that we are trying to be healthy. 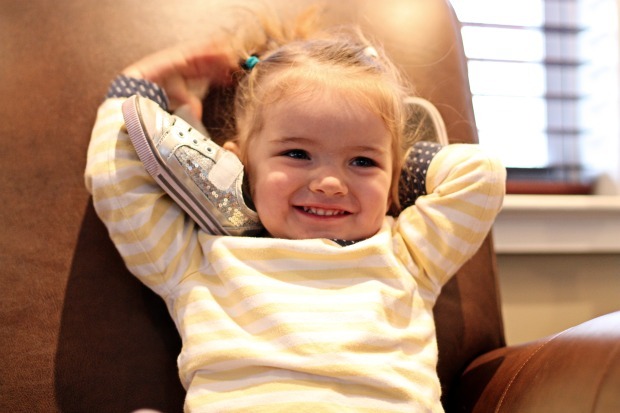 And you know you’re in trouble if she’s already loving shoes now! Oh,my goodness, I could use more veggies in my own diet. These look like a great solution! I am going to try these. I think we all would like these…maybe even my pickiest eater! OMG! I can’t way to try these and make these for my 3 kids! Great one! 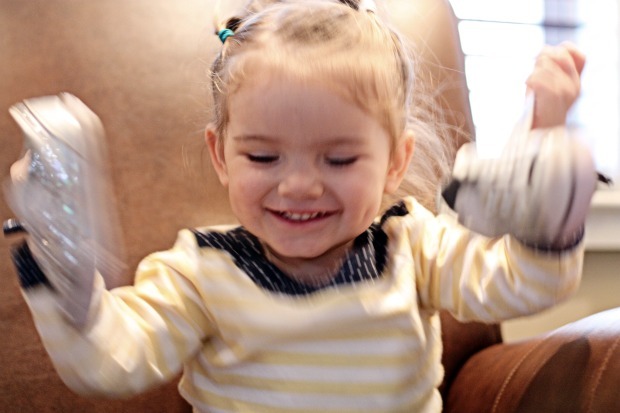 What’s with little girls and shoes? Haha.. My son couldn’t have cared less and my daughter, as soon as she could move on her own was over at the shoes and chewing on them. Ew! Anyways, the nuggets look amazing! Forget the kids, even I love things like this. I especially love that they’re baked. Awesome! Mmm YUM! These look delish! These look delicious! I want to eat everything you make for your daughter. Love these! I hope it’s ok for adults to enjoy because these have my name written all over them! I’m having visions of a “grown-up” version as well. So fun! I love making veggie nuggets. Such a fun way to eat your veggies! 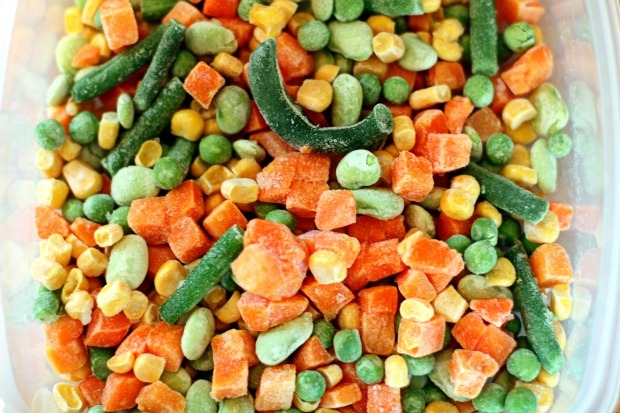 I love how you’ve included mixed veggies–great idea. you always make me hit the bookmark button =) delish! the hubs would love these! Those nuggets are such a great idea! What a brillant idea! My kids won’t even touch a vegetable, but I never though to make vegetables in nugget form. I added ground turkey to the veggie mixture and ground up the veggies more. They make great meatballs this way!